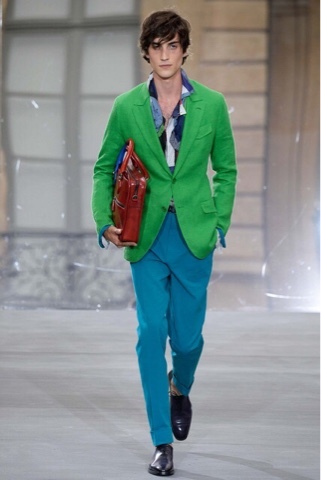 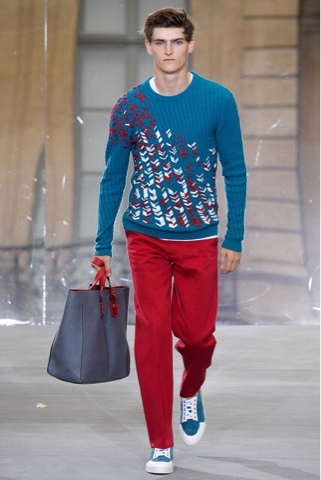 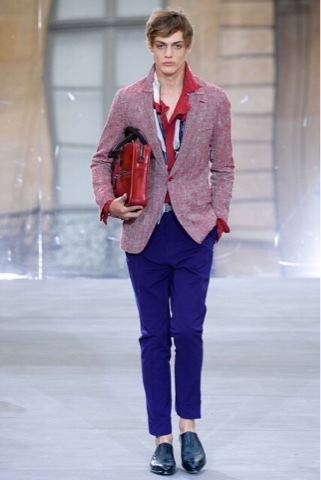 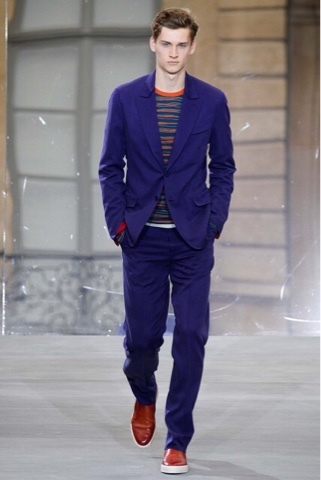 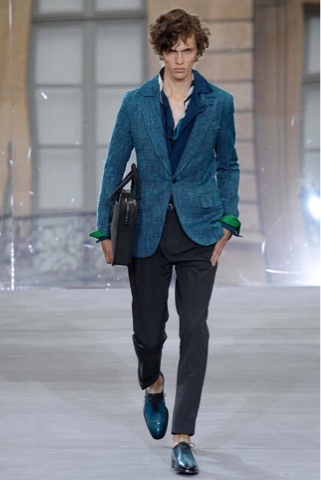 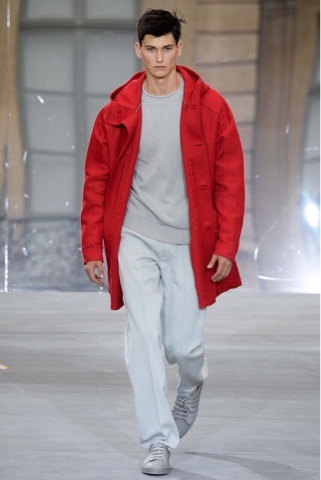 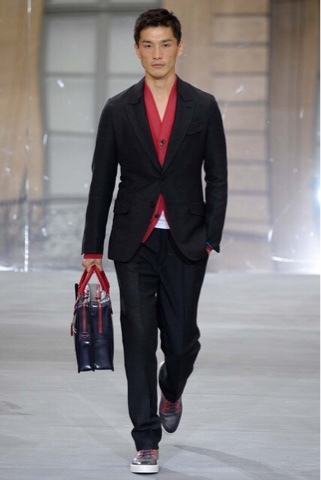 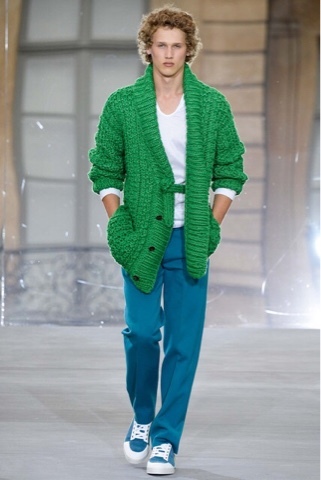 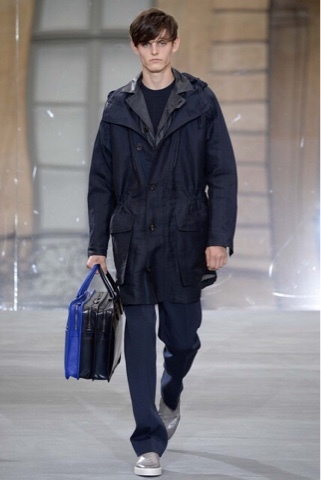 Berluti was one of the few designers to show bold bright colors for next spring. 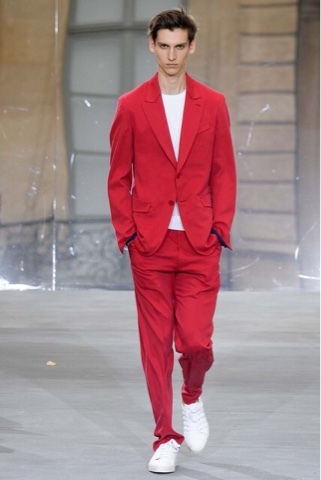 It was very refreshing to see the loud reds, greens, and blues and how they were styled. 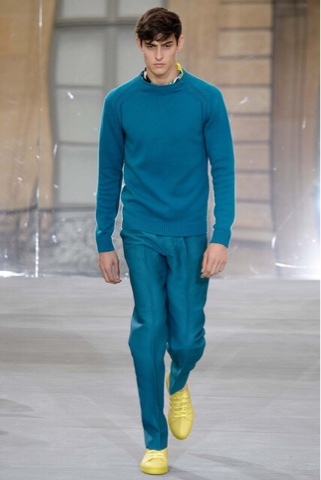 Some colors were worn head to toe in casual loose suiting and some were worn all together using color blocking. 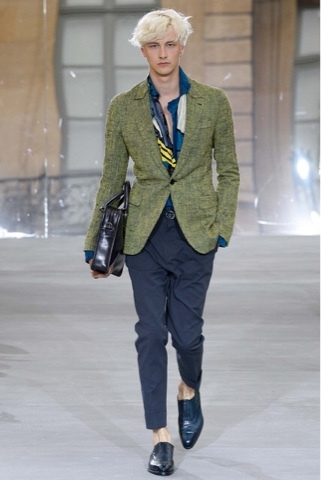 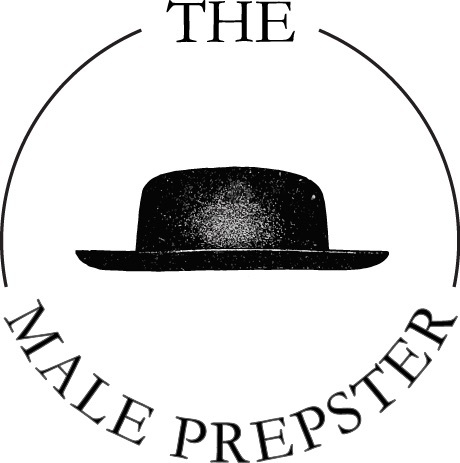 The only prints used were a few stripped sweaters and a sort of shawl collared, scarf material shirt. 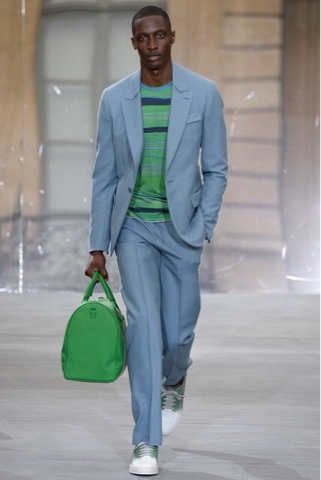 The fit was very easy breezy which is great for those hot summer days. 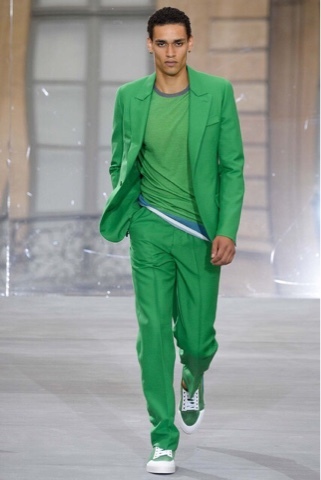 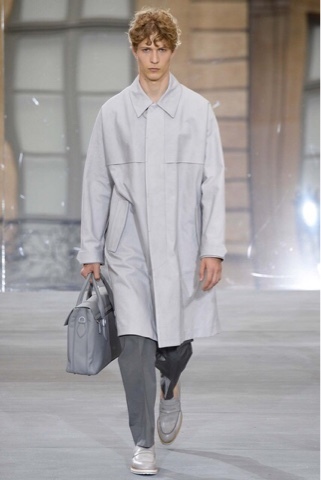 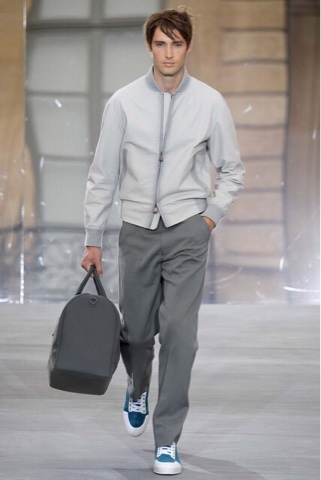 A few of my favorite pieces were the grey bomber jacket, the green suit, and all of the shoes.